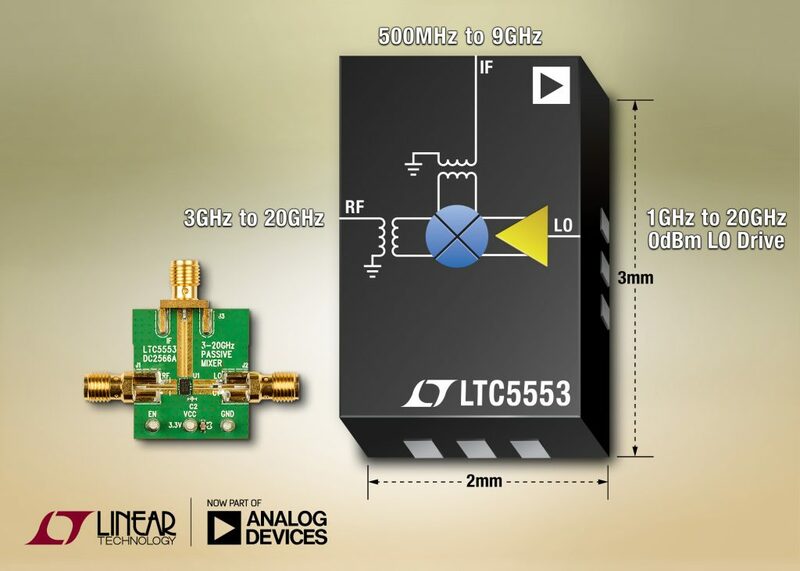 Analog Devices, which recently acquired Linear Technology Corporation, announces the LTC5553, a double balanced mixer providing best-in-class matched bandwidth capability from 3GHz to 20GHz. The mixer can be used either as an up- or downconverter. 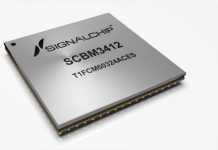 In addition, the LTC5553 delivers outstanding linearity of 23.9dBm IIP3 at 14GHz, and 21.5dBm at 17GHz. The device integrates an LO buffer requiring only 0dBm input drive, effectively eliminating an external high power LO amplifier circuit. Moreover, the LTC5553 integrates wideband balun transformers on chip. 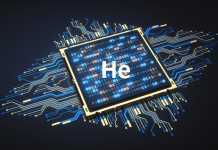 So all ports operate single-ended, 50Ω matched over their respective specified frequency range. In addition, the mixer has excellent port-to-port isolation, offering –32dBm LO to RF leakage at 17GHz, thus easing external filtering requirements. All of these features result in minimum external components, simplified design and a very small solution size. 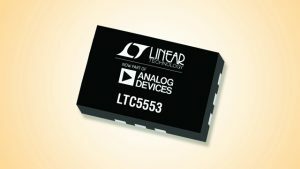 The LTC5553’s extremely wide bandwidth and performance is ideal for a wide range of applications including 5G microwave backhaul, broadband wireless services, satellite broadband radios, radar systems, active antenna arrays, X and Ku band transceivers, test equipment, spectrum analysis and satellite communications. The LTC5553 is offered in a tiny 12-lead, 3mm x 2mm plastic QFN package. The device is rated for operation from –40°C to 105°C case temperature to support extended environmental operating temperature. The mixer is powered from a single 3.3V supply, drawing a quiescent supply current of 132mA. Additionally, the LTC5553 can be shut down via an enable pin. When deactivated, the device draws only 100μA maximum standby current. The enable pin can be driven directly to turn the device on and off rapidly in less than 0.2μs, supporting time-division duplex (TDD) or burst mode type transmitters and receivers. The LTC5553 is priced starting at $22.00 each in 1,000-piece quantities. Samples and production quantities are available immediately. For more information, visit www.linear.com/product/LTC5553.